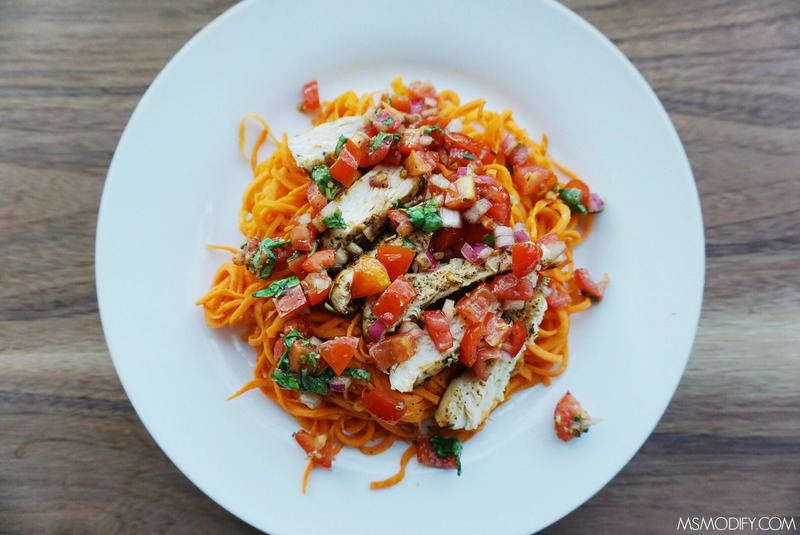 Marinated grilled chicken served over sweet potato noodles, topped with a big scoop of fresh bruschetta mix is the perfect light and healthy meal. The best part is it’s filling and flavorful, all while being gluten free, paleo and Whole30! I know there is a lot of hype about zoodles (zucchini noodles) and don’t get me wrong, I’m a huge fan of them too! But… in all honesty, hands down sweet potato noodles are my favorite non-pasta noodles! 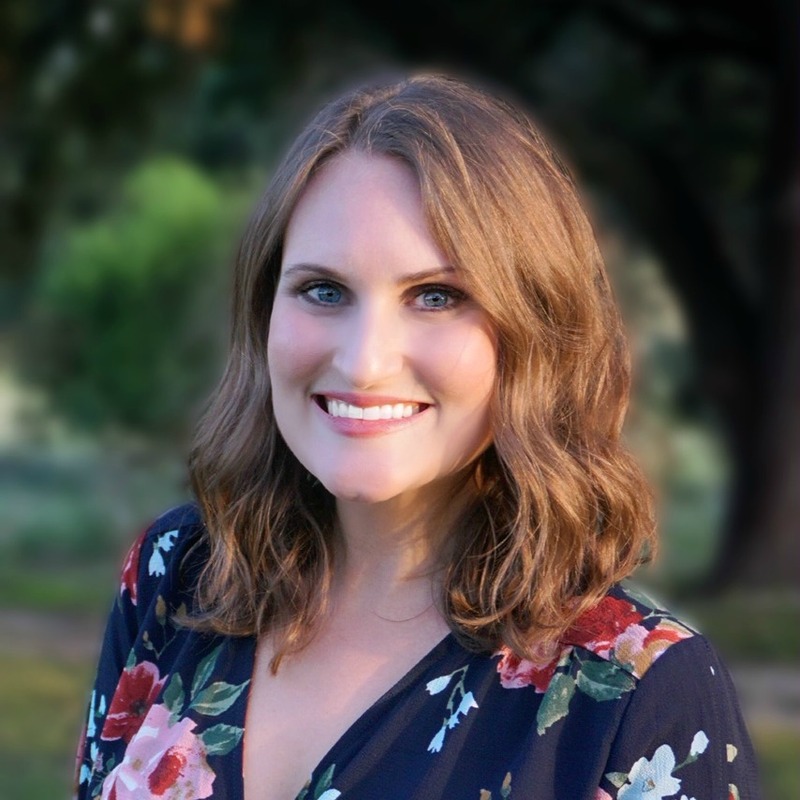 My husband, Erik, eats the way do at home (mainly because I do the cooking but also because he notices a difference in how he feels when he eats a whole food, gluten free diet). He’s a big guy and I’ll be honest…. Zoodles just don’t fill him up. However, sweet potato noodles do and he loves them! This summer my parents garden has been going crazy, especially their tomatoes (our tomatoes didn’t do so well this year, but our cucumbers are another story!) and every time I see them they give me a huge bag of tomatoes! Bags of homegrown tomatoes means one thing… bruschetta! Side note: I’m proud to report the basil came from our garden! 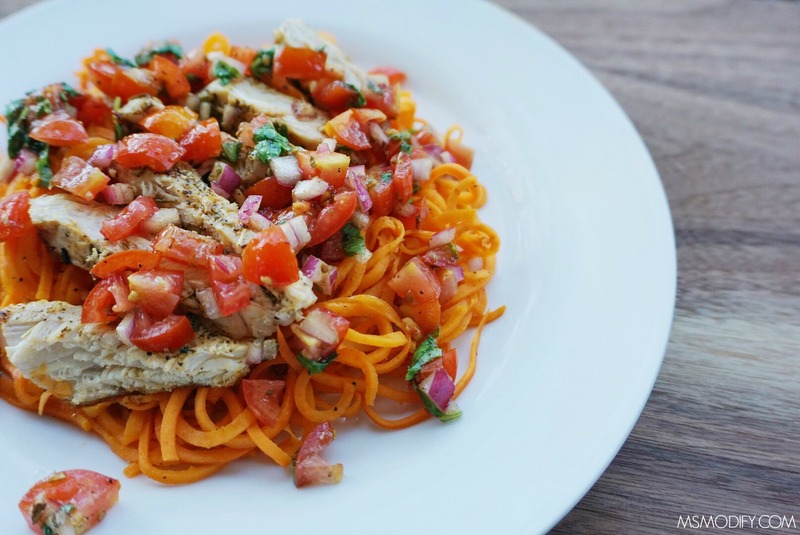 This grilled chicken bruschetta “pasta” served over sweet potato noodles is one of my favorite things I’ve cooked all summer and is now in constant rotation for us! 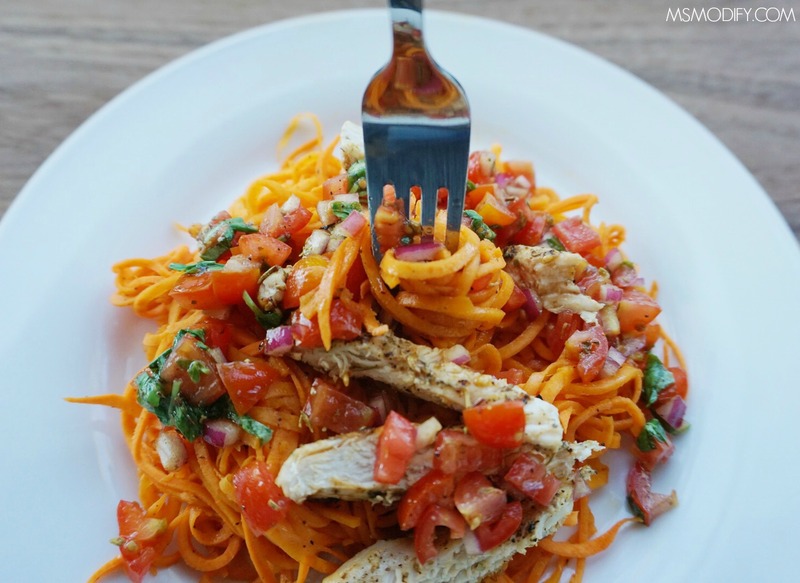 Marinated grilled chicken served over sweet potato noodles, topped with a big scoop of fresh bruschetta mix is the perfect light and healthy summer meal. The best part is it’s filling and flavorful, all while being gluten free, paleo and Whole30 compliant! In a small bowl add 4 Tbsp olive oil, balsamic vinegar, salt, pepper and minced garlic. Pour into a large Ziploc bag and add chicken. Place in refrigerator and allow to marinate at least one hour. While your chicken is marinating make your bruschetta topping by combining tomatoes, red onion, basil, garlic, olive oil, balsamic vinegar, salt and pepper in a bowl and mix together. Set aside and let marinate. Preheat oven to 450 degrees fahrenheit and line a baking sheet with parchment paper. Cut each sweet potato in half and spiralize each piece using the smallest blade on your spiralizer. Place the noodles on your lined baking sheet and toss with 1 Tbsp of olive oil and sprinkle with a little salt. Set the noodles aside. Turn on grill to medium heat. Add chicken and cook for about 10-12 per side or until internal temperature is 165 degrees. While the chicken is cooking, place the noodles in the oven to bake. For al dente noodles, bake for 8-10 mins. For softer, fully cooked noodles, bake for 12-15 mins. Divide noodles onto plates. Once the chicken is grilled, cut up into pieces and place over noodles. Spoon bruschetta mix over chicken and noodles. Make sure you include the juice from the bruschetta mix! The fully cooked, soft noodles tend to break on your plate. I’ve found my personal sweet spot for cook time is about 10-12 mins. This entry was posted in Recipes/Dining Out and tagged Bruschetta, chicken, noodles, pasta, sweet potato.